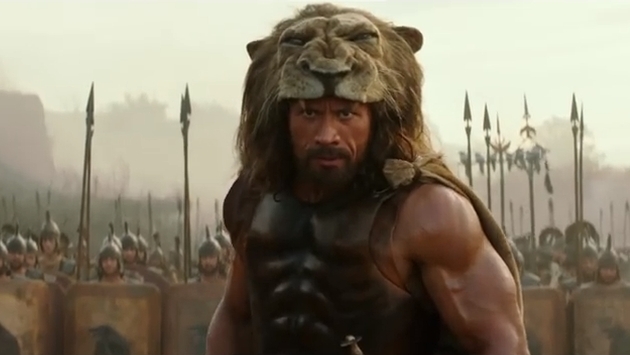 Watching Dwayne Johnson don a lion’s head and smash things with a giant club, it’s easy to think Hercules was one tough movie to shoot. That’s only because it was. Hercules, opening in theaters this Friday, July 25, was shot primarily in Hungary. According to IMDB, director Brett Ratner (Rush Hour, X-Men: The Last Stand) filmed a sizable portion of the movie at the Origo Film Studio in Budapest, Hungary, as well as on location in Paty, Hungary. According to The Daily Mail, the shoot was grueling, subjecting actors and handlers to immense heat and long hours. Thankfully, the movie’s heroic protagonist was up to the challenge and then some. Now those hoping to travel off to Budapest or various parts of Hungary can rest easy that it’s not mandated you wear essentially a leather loincloth or a fake animal head for a hat. However, you may want to dress comfortably. The Daily Mail reports the film’s battle scenes were shot amid temperatures reaching 40 C (104 F), or roughly the temperature loincloths begin to seem like a fantastic sartorial decision. Ratner chose to have a reported 500 people around, taking care of the horses as well as the actors, adding to the grand total of about 1,200 cast and crew that were needed on set. That’s swell, Mr. Ratner, but if you could please explain X-Men: The Last Stand and/or the substance you were on while making it? That’d be swell. Now the conditions were obviously grueling and the actors and hardworking crew gave it all they had, delivering a movie that certainly looks entertaining. It seems, though, that they may have had quite the workhorse to emulate. The report makes it seem like Johnson is an actual demigod, finding unbelievable amounts of energy to work and train on set. Ratner explains, “I think he gets up at 2am in the morning for a shoot starting at 8.30. He works out, eats eight steaks and 12 eggs, then goes back and works out again. I've never seen somebody with such a work ethic and professionalism.” So if you want to look like one gigantic muscle with a head, you need to put in an astounding amount of work. I get up sometime between 3 and 4 o'clock in the morning. I do cardio in the morning, then I'll come back and have breakfast. Breakfast is steak and eggs and oatmeal - a nice hearty breakfast. I have seven meals a day. Then after breakfast I'll go train and work out and then I'll come to set. To each his own, but we will stick to our daily regimen of falling asleep on the couch with snacks and TV remote in hand. If we absolutely must feel productive, we might head on down to the theater and catch this week’s complement of movies, including this fanciful tale of a bodybuilder in constant search of the finest pelts to wear to formal occasions. At least, that’s what we assume this movie is about.